Pleasanton, CA — January 10, 2019 — NextHome is proud to announce our newest addition to the franchise, NextHome First Source. The brokerage represents the 21st office location opened in the state of Texas for the NextHome franchise. The company will be led by broker/owner Debbie Grigg and she will handle all day-to-day operations for the company. Located less than 15 miles from Downtown Houston, the Pasadena-based brokerage will focus on helping clients throughout the southeast side of greater Houston area. Cities include Pasadena, La Porte, Baytown, Deer Park, Seabrook, Clear Lake, Alvin, Manvel, Pearland, Galveston, and League City. NextHome First Source will handle all types of residential property sales such as first-time home buyers, move up buyers, investors, condos and townhouses, ranches and land, luxury, vacation properties, and all forms of residential sales of 1-4 units. Licensed since 1991, Debbie has experience in both real estate sales and in lending. She started her career in Deer Park, TX and worked for a local independent brokerage until 1993. Debbie moved in 1993 to RE/MAX when they opened the franchise’s 100th brokerage in the state of Texas. When Debbie came on board, she was the first agent in the new brokerage and grew a strong book of business. Through her very caring approach with clients, Debbie built strong relationships with those in the community and created an earned trust where referrals became commonplace for her. In 2013, Debbie moved to a boutique brokerage where she continued serving her clients, selling more than 20 properties annually. In mid-2018, Debbie knew it was time to go out on her own. When Debbie discovered NextHome, she really liked what the company was doing. As the leader for NextHome First Source, Debbie has proven her commitment to raising the standard in real estate in her community. She has been a real estate educator for nearly a decade. Debbie taught courses for two different licensing schools and was an instructor at Alvin Community College for real estate classes. She also spends a lot of time volunteering locally. For parts of the past five years, Debbie has volunteered for several organizations such as the Women of the Moose Lodge (The Fraternal Order of the Moose), which helps the local women’s shelter, nursing homes, and those who are homeless. Debbie and her husband, Doug, have been married for six years. They share a loving home with Doug’s 17-year-old son, Garrett. Please join us in congratulating Debbie and the rest of the team at NextHome First Source on their brand new NextHome office location in Pasadena, TX! Pleasanton, CA — November 20, 2018 — NextHome is proud to announce our newest addition to the franchise, NextHome Premier Neighborhood Realty – Kissimmee Branch. The brokerage represents the 51st location opened in the state of Florida for the NextHome franchise. The office will be owned and operated by broker, Jon Brumer. Based out of Kissimmee, this particular NextHome Premier Neighborhood Realty branch location will provide real estate services to buyers and sellers such as single-family residential sales, first-time home buyers, investment, multi-family properties, land deals, condominiums, and new construction homes for the areas of St. Cloud, Kissimmee, Davenport, Clermont, and the remainder of the Orlando Metro Area. Thirty miles south of Orlando, Kissimmee is home to approximately 60,000 residents and is one of the larger communities in the Orlando-Kissimmee-Sanford metropolitan area. Before starting his real estate sales career, Jon worked as an appraiser for the Miami-Dade County Tax Assessor’s Office. For more than ten years, Jon evaluated the values for hundreds of properties. This experience has helped him provide some of the most accurate estimates of property values for his real estate clients. In 2014, Jon moved to Kissimmee and worked as a REALTOR® with Berkshire Hathaway Home Services of America Florida Realty. In 2017, after building his sales business at the brokerage, Jon moved to a local independent company, Property Pros. Although Jon found success as a REALTOR® working at a brokerage, he wanted to follow his passion of opening his own company. In 2018, he attained his broker’s license and began looking at franchise options for his soon-to-be-opened real estate brokerage. “These benefits not only help our clients, but attract talented agents to our brokerage as well,” he added. Jon believes in giving back to his community and works with underprivileged children via the “Give the Kids The World” program. The organization is similar to a Make-A-Wish program, where volunteers bring the Disney experience to children who are unable to go to Disney World. When not selling real estate, Jon and his wife of four years, Brittany, love to travel. As members of the Wyndham Timeshare and Hilton Grand Vacations programs, the couple travel throughout the world. Please join us in congratulating Jon and the rest of the team at NextHome Premier Neighborhood Realty on the opening of their second NextHome office in Kissimmee, FL! Pleasanton, CA — November 15, 2018 — NextHome is proud to announce our newest addition to the franchise, NextHome Atlantic Coast. The brokerage represents the 50th location opened in the state of Florida for the NextHome franchise. Based in Palm City, NextHome Atlantic Coast will be owned by broker/owner and top-producing REALTOR® Daniel Wade. The brokerage will provide real estate services such as single-family residential sales, first-time home buyers, vacation and second homes, relocation, rehab and resale property listings, investment sales, luxury purchase and sales for the cities of Palm City, Stuart, Jensen Beach, Hobe Sound, Sewall’s Point, Port St. Lucie, and the rest of Martin County. Located 30 minutes north of West Palm Beach, Palm City is home to just over 20,000 residents and is part of the Port St. Lucie Metropolitan Area. Daniel has been in real estate since 2005 when he started with a local real estate brokerage, H&R Properties. Keeping an eye on the economy, Daniel saw the shift in 2006 and positioned himself to adapt to this changing sales market. Providing services such as short sale listings and foreclosure sales, he was able to assist clients in a market when many others were leaving the real estate industry. In 2006, Daniel moved to Prudential Realty and from 2006 through 2012, he remained one of the top producers in the office. 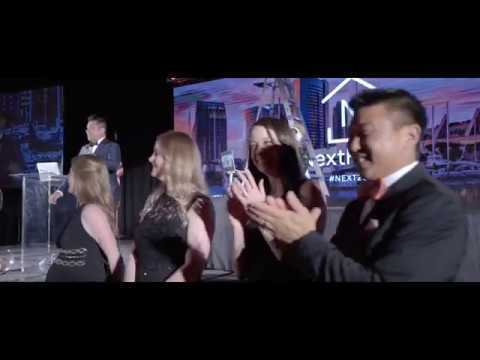 In September of 2012, Daniel moved to the local RE/MAX office and over the next six years, he was always in the top 25% of the 60+ agent office. While helping clients, Daniel also wanted to assist other agents who were looking for leadership and guidance in their own business. After mulling the idea of moving into management, Daniel found it a better choice to go out on his own and open a brokerage. Daniel knows NextHome Atlantic Coast will be an innovative company in the local market. “I think both agents and clients will find our brokerage to be much more advanced as a real estate resource than they have come to expect locally,” said Daniel. When not selling real estate, Daniel gives back in a big way. He has involved himself in religious education for years and currently volunteers as a teacher for 5th graders at Holy Redeemer Catholic Church. He also serves as an Ambassador for the Palm City Chamber of Commerce. Daniel and his wife, Marcia, have been together for five years and have a three-year-old son, Marcel. Please join us in congratulating Daniel and the rest of the team at NextHome Atlantic Coast on the opening of their new NextHome office in Palm City, FL! Pleasanton, CA — November 9, 2018 — NextHome is proud to announce our newest addition to the franchise, NextHome Residential Realty. The brokerage represents the second location opened in the state of Maryland for the NextHome franchise. Based in Ellicott City, NextHome Residential Realty will be owned by top-producing REALTOR® Joe Holland. Leading one of the most productive teams in the area, Joe is making the transition to owning a brokerage while still servicing his clientele. The brokerage will provide real estate services such as single-family residential sales, first-time home buyers, townhomes, relocation, rehab and resale property listings, investment sales, luxury purchase and sales, and land sales for buyers and sellers for the cities of Ellicott City, Elkridge, Columbia and the counties of Howard, Anne Arundel, and Carroll. Located 30 minutes west of Baltimore, Ellicott City is home to more than 65,000 residents. Known for its historic district, Ellicott City has the oldest surviving train station in the nation. Built in 1830, the station was the terminus of the original Baltimore & Ohio Railroad line. Joe comes from a law enforcement background and investigations. He started as a real estate investor in 2000 and over the next eight years, he bought more than 25 homes to fix and flip. He attained his real estate license in 2003 and worked part time at the local RE/MAX office. In 2013, after nearly ten years at RE/MAX, Joe moved his very successful business to Keller Williams Realty, where he stepped in as part of a large real estate team. In 2016, Joe went out on his own and built his own team – The Holland Home Team of Keller Williams Integrity. Joe and his team sold nearly $15 million annually in a market where the average sales price of a home is in the $350,000 range. But even with great sales numbers, Joe knew he wanted to eventually own his own real estate brokerage. Joe is proud to share the NextHome Residential Realty difference with residents, as well as local agents looking for a better brokerage to work at. When not selling real estate, Joe volunteers his time with the SPCA of Anne Arundel County. His love for animals has drawn him to giving back and helping in his local community. Joe also enjoys traveling to the tropics, boating and fishing. Please join us in congratulating Joe and the rest of the team at NextHome Residential Realty on the opening of their new NextHome office in Ellicott City, MD! Pleasanton, CA — August 21, 2018 — NextHome is proud to announce our newest addition to the franchise, NextHome Bayside Realty. The brokerage represents the 45th office location opened in the state of Florida for the NextHome franchise. The company will be owned and operated by real estate broker Tom Miesen and his wife, Lynette. Tom will be the broker of record and in charge of all day-to-day operations. They will be joined on the leadership team by business partners Ann Marie Kurz and Terry Adkins. Based in Freeport, NextHome Bayside Realty will provide real estate services such as single-family residential sales, first-time home buyers, second homes, investment, luxury, and land deals for the areas of Freeport, Miramar Beach, Sandestin, Crestview, DeFuniak Springs, and the surrounding areas of Walton and Okaloosa Counties. Freeport is located in the “panhandle” section of the state of Florida and is approximately two hours west of Tallahassee. Licensed since 1979, Tom has been a longtime top-producing REALTOR® in Northwest Florida. Since 2005, he has been selling an average of $8 million annually. He had ownership in a local nationally franchised office for nearly 12 years before connecting with another group of high-producing and talented REALTORS®. After two years under the NextHome system, Tom saw the benefits of what NextHome could do for agents and brokers alike. In Spring 2018, Tom and Lynette felt it was the right time to go out on their own. Tom gives back to the real estate community as well. He is serving his second year as a Director for Florida REALTORS®. He also is the 2018 Treasurer for the Emerald Coast Association of REALTORS® (ECAR). Tom is currently running for the 2019 Vice President for ECAR. Tom and Lynette have been married for 40 years and have four children and three grandchildren. They love to travel and recently took a trip to New Mexico earlier this year. Please join us in congratulating Tom, Lynette, Ann, Terry, and the rest of the team at NextHome Bayside Realty on the opening of their new NextHome office in Freeport, FL! Pleasanton, CA — August 15, 2018 — NextHome is proud to announce our newest addition to the franchise, NextHome Greater Realty. The brokerage represents the 44th office location opened in the state of Florida for the NextHome franchise. The company will be owned and operated by the husband and wife team of Buz and Linda Berson. Buz will serve as the broker of record and supervise agent production. Linda will be in charge of the sales division and training for the brokerage. They will be joined on the leadership team by their son, Bailey Kapci. He will serve as the Director of Operations for NextHome Greater Realty. Based in Punta Gorda, NextHome Greater Realty will provide real estate services such as single-family residential sales, first-time home buyers, second homes, investment, luxury, and land deals for the areas of Punta Gorda, Port Charlotte, North Port, and the surrounding areas. Punta Gorda is located 30 minutes north of Fort Myers and is home to approximately 20,000 residents. The name Punta Gorda translates to “Fat Point” and has been an incorporated city since the mid-1800’s. A serial entrepreneur, Buz has been running successful businesses for decades. Formerly the owner of the largest outdoor furniture store in the United States, Buz has been involved in real estate since 1980. He spent most of the 1980’s as a commercial real estate developer. In 1986, he started his own residential property development company, Berson Property Developments. Linda joined as the leasing manager for Berson Property Developments and headed up that entire division. Opening Berson Properties in the early 1990’s, the Bersons grew the residential real estate brokerage to more than 25 agents with annual sales in excess of $100 million. In 2007, they sold the company to a Century 21 franchisee and relocated their family to the area of Naples, FL. Never one to rest and retire, Buz began building high-end homes in the Naples area. With square footage exceeding 4,000 feet, these high-end homes were in demand for the residents of Naples. From 2015 to 2017, as fast as Buz built them, Linda sold them equally as fast. While they were doing very well, the Bersons wanted more to offer to their clientele. Bailey will add a new dimension to the brokerage as well. Spending the last 13 years in high-level restaurant management, his leadership and management skills will maintain a standard of customer service for NextHome Greater Realty that will be a real difference in their community. When not selling real estate, the Bersons enjoy a life of what they describe as “simple abundance.” The married couple of 28 years spend time with their poodle, Rose, and take in all the wonderful amenities Punta Gorda has to offer. Bailey and his wife, Paris, describe themselves as “foodies” and love exploring new restaurants whenever they travel. As a former restaurant General Manager, Bailey knows and appreciates when a restaurant can deliver beyond expectations. Please join us in congratulating Buz, Linda, Bailey, and the rest of the team at NextHome Greater Realty on the opening of their new NextHome office in Punta Gorda, FL!